PARMA, OH (WOIO) - Firefighters responded to a call at 5409 State Road in Parma just before noon Saturday. 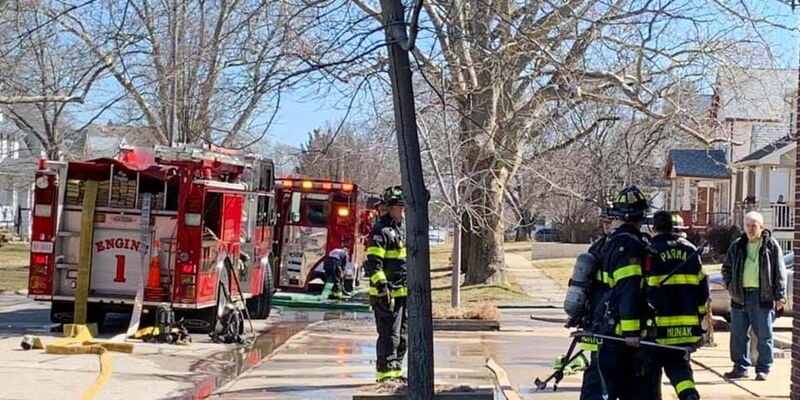 Four companies with the Parma Fire Department were dispatched after a resident called to report smoke coming from the apartment above the Lincoln Inn. Upon arrival, firefighters noted light smoke conditions on the second floor and assisted the one remaining resident out of the building. Despite structural challenges, firefighters were able to extinguish the blaze within 15 minutes. State Road was temporarily shut down but has since reopened. We’re told the Fire Prevention and Investigation Unit was on location to determine the cause and origin of the fire. No injuries were reported and the cause of the fire remains under investigation.